The Trossen Engineering team goes through a lot of motors, so we have pretty high expectations of any motors we want to put in a robot. 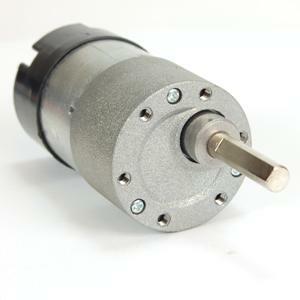 Well our new Robot DC Gearhead Motors w/ Encoder meet and blow past those expectations! These motors are perfect for robots weighing 2-5 lbs, and the RPM allows them to pair perfectly with 3-4″ Wheels. Each of our motors have an integrated encoder to help calculate odometry data so these motors will help get your robotic rover up and running in no time! Check out the video to see one of our test ‘bots zipping around the warehouse.